I felt a little bit guilty initially on agreeing to be a CaSFFA jury member, as I was convinced that my poor viewing record on Czech, Slovak, and Czechoslovak cinema didn’t put in me in great stead to be a good judge on the best films of the past year from that esteemed filmmaking region. But, as CaSFFA’s own esteemed leader-in-chief Cerise Howard reassured me, this was clearly an excellent opportunity to dive right in the deep end and immerse myself completely in Czech and Slovak cinema and deliver myself unto a quick and thorough education. I am thankfully not completely gormless when it comes to these things, and must thank my undergraduate cinema studies degree for being very thorough in introducing me to the work of Czech animator Jan Švankmajer. Of course you know Švankmajer! He is the stop-motion surrealistic wizard of unique, deeply uncompromising and darkly hilarious animations that are so visually compelling that it’s almost like they make time stamps in your mind upon first viewing and remain there forever, preserved as aspic in your brain juice. My first Švankmajer was a short film that is barely a minute long, and yet I can recall every frame. 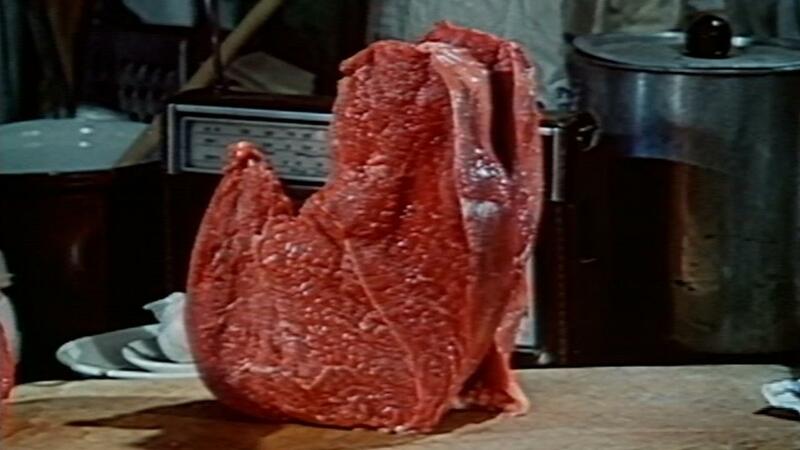 It’s called Meat Love (Zamilované maso, 1988), in which two freshly sliced raw steaks dance a tango celebrating their new found freedom and lust, before being unceremoniously doused in flour and thrown into a piping hot frypan spitting with oil. Švankmajer has a particular way with food, in which it becomes a perfect vehicle to explore the misanthropic horrors of human systems, particularly capitalism as experienced post-communism, a system of constant consumption and relentless need. Take another of his short films, appropriately called Food (Jídlo, 1992). Carved into three portions titled ‘Breakfast’, ‘Lunch’ and ‘Dinner’, food becomes a cog in an undignified system wherein one’s body becomes both the machine of delivery and the source of others’ consumption. ‘Breakfast’ sees workers lining up for an uninspired-looking meal of sausage, mustard and coffee that springs from the body of the man before you in line, and once you have consumed you must then wait to be consumed by the next man. ‘Dinner’ throws all subtlety out the window in terms of presenting the idea that, in eating, one is ultimately consuming oneself, as diners in a fancy restaurant are served up delicately plated dishes featuring their own severed body parts. ‘Lunch’ is for me the most delicious portion. Two diners, one wealthy, one poor, as demarcated by their clothing and demeanour, fail to attract the attention of a waiter at a restaurant and, following the wealthier diner’s lead, begin to eat the vase of flowers on the table. Rapaciously devouring everything within their reach, from the tablecloth to the very chairs they sit upon, and every scrap of clothing on their backs, the wealthy diner then swallows his cutlery. The poor diner, as he has done throughout, follows suit, but a sly, cruel trick has been played – the wealthy diner pulls his cutlery back out of his mouth and armed with the utensils and a sick smile launches himself at the poor diner. If a blunter yet more utterly effective film about the rich duping the poor into following outlandish and excessive modes of consumption and then swallowing them whole has been made, I’ll eat my shoes. Food, in the hands of Švankmajer, becomes aggressive. It is something that everyone needs in order to live, yet cannot be accessed without a price; quality of food differs wildly depending on your financial accessibility, and the very act of eating mirrors civilisation’s constant rapacious consumption of nature, of animals, of whole cultures, of ourselves. Švankmajer’s food metaphor critiques are blunt, dirty, miserable, yes, but they are almost more relevant now than they’ve ever been before, given how completely obsessed Western cultures have become about food. I’ve had cause to come back to thinking about Švankmajer’s class-conscious food films a lot in the intervening years from first seeing them in undergrad, particularly when I stumbled into writing food articles and restaurant reviews for a variety of online publications. Modern foodie culture insists upon all forms of eating and dining as a pleasurable experience while ignoring all the ways in which food and its industry can be detrimental to people and to environments. Švankmajer, of course, has always been at pains to point out that there is nothing truly glamourous about food, or its production. There is rarely acknowledgement, within our current mainstream food media, of how food is complicit as the grist for the mill which is late-stage capitalism, of the horror of blind consumption, of how ingredients, living creatures, entire peoples and cultures are crushed, mangled and repurposed out of context to feed the endlessly demanding maw of food trends. Švankmajer knew that this was where we were all heading, that this is where we’ve always been, obsessed with elevating a basic biological function into an art form that is only accessible to the very few and, at the end of the day, results in excrement for us all. Will there be filmmakers that you encounter during this year’s CaSFFA that will burrow themselves into your mind with their films and forever more pop up to remind you of inconvenient truths when you’re just trying to do something innocent like write a restaurant review? I have no doubt. The CaSFFA program is filled to the brim with films that have got me brimming over with excitement; from opening night supernatural and maternal terror in The Noonday Witch (Polednice, 2016) to comic book inspired surreal absurdity in Who Wants to Kill Jessie? (Kdo Chce Zabit Jessii? 1966), there is a breadth of films here that other film festivals should rightly be envious of. I’m looking forward to experiencing them all for the first time alongside you. Jan Švankmajer’s utterly distinctive animation – not least of a carnivorous plant! – can be seen in Adele Hasn’t Had Her Dinner Yet (Adéla ještě nevečeřela), screening at CaSFFA on Saturday, 17 September at 7.15pm. 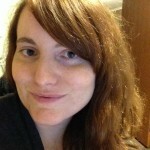 Hayley Inch is a film writer, critic, programmer, and general cinematic busybody.